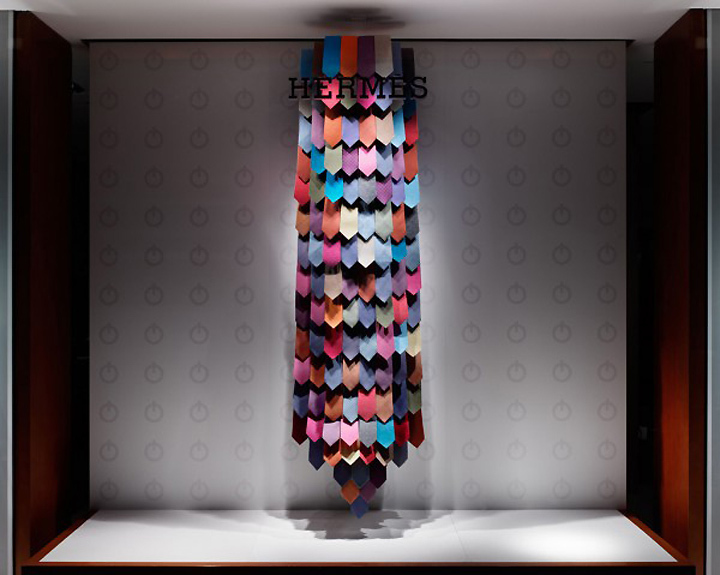 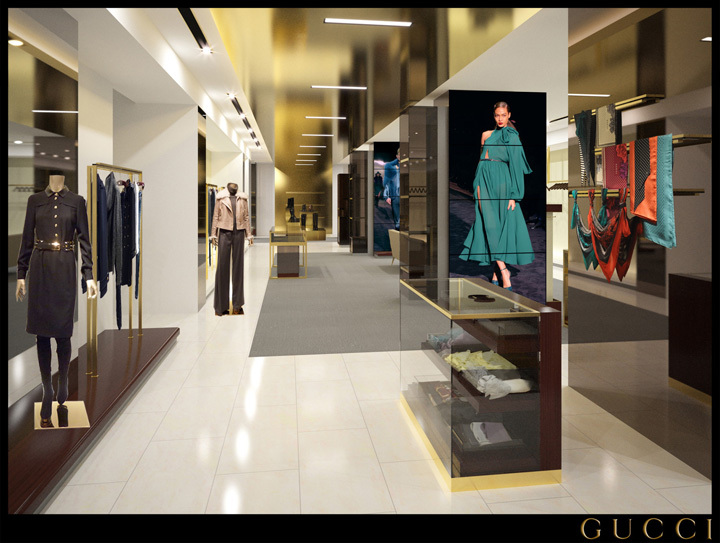 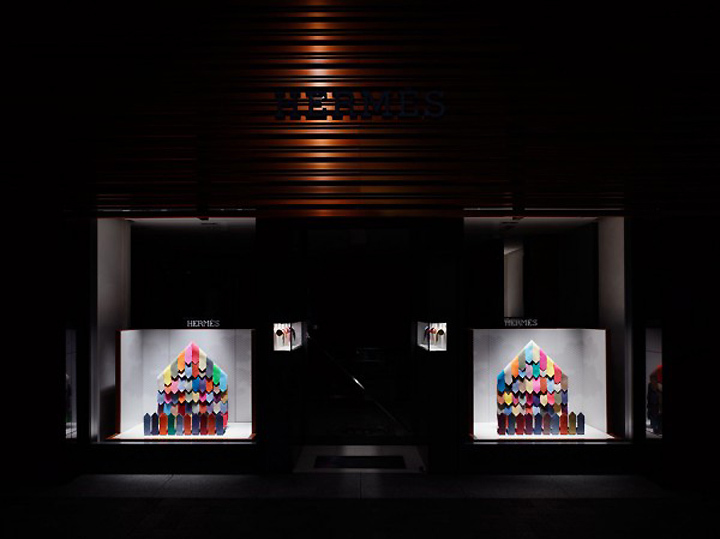 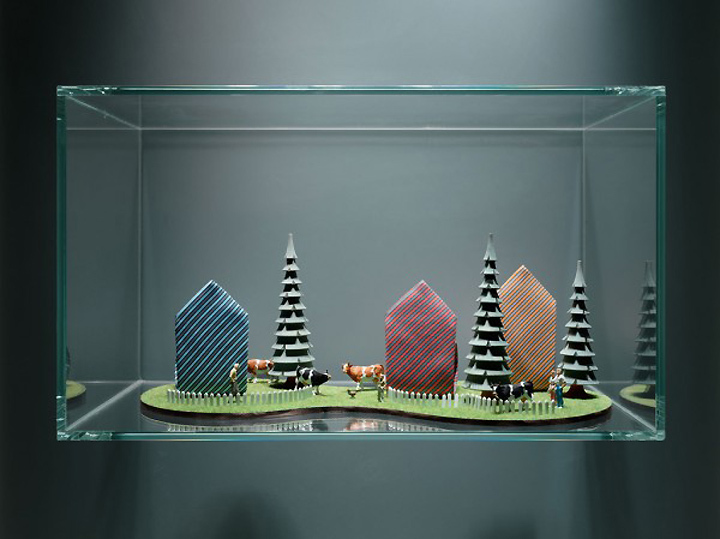 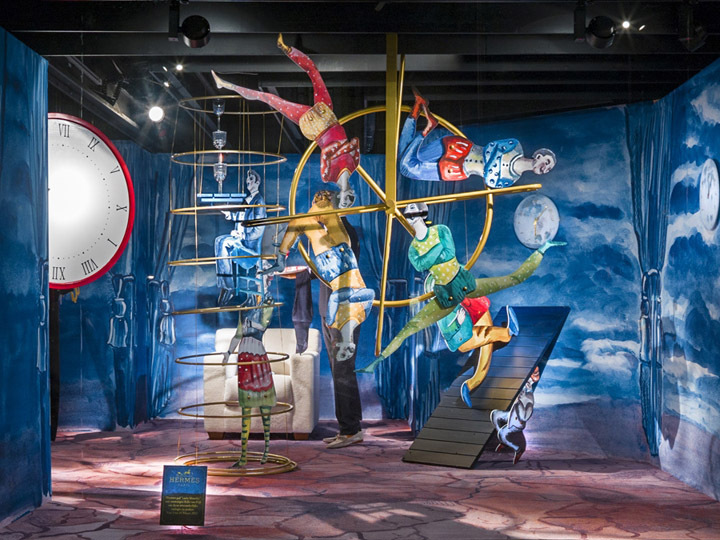 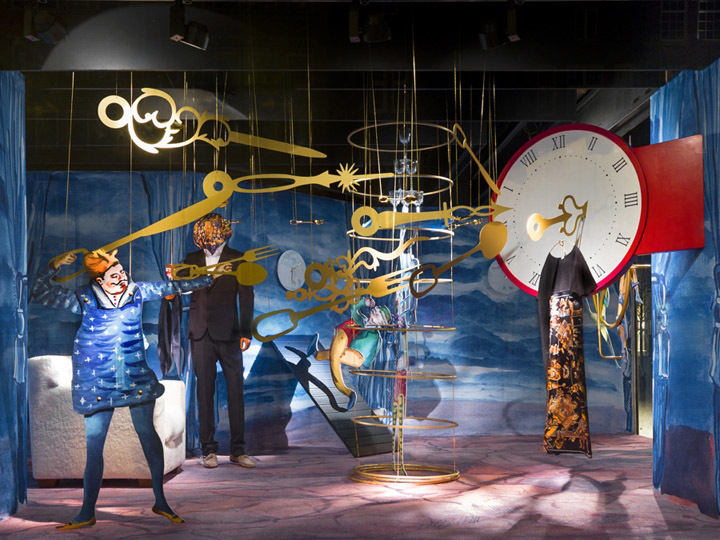 The Alice and Wonderland theme is evident in the visualization, though Van Eijk’s primary inspiration came from the idea of ‘the gift of time’ (Hermès’ theme for 2012). 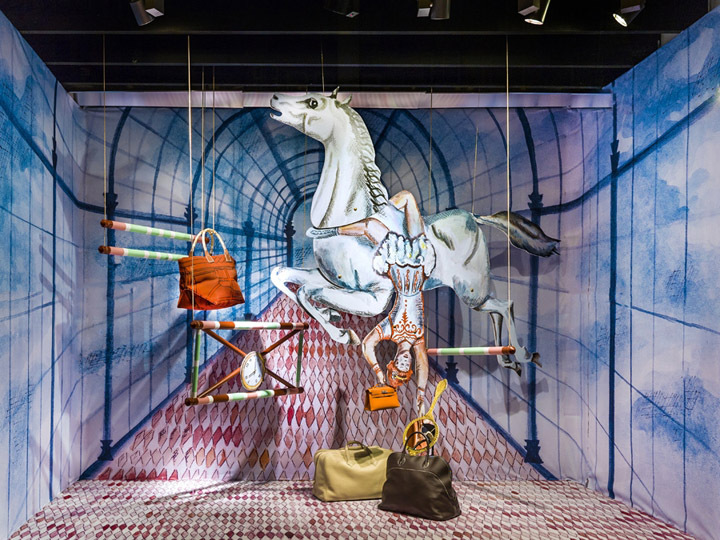 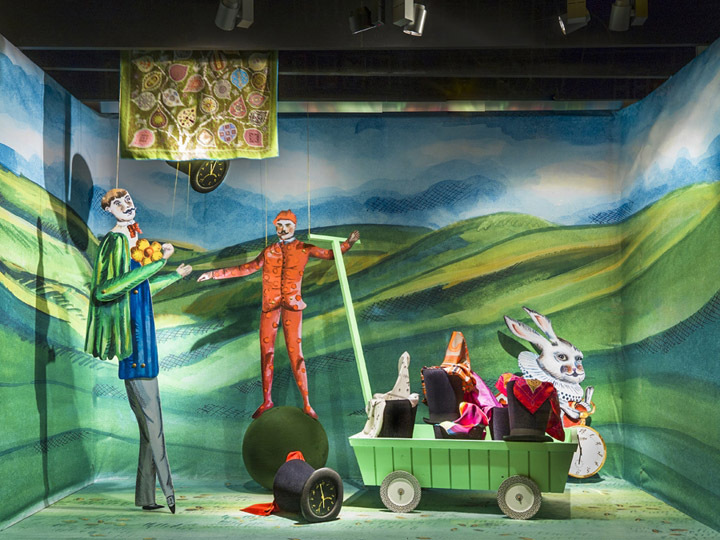 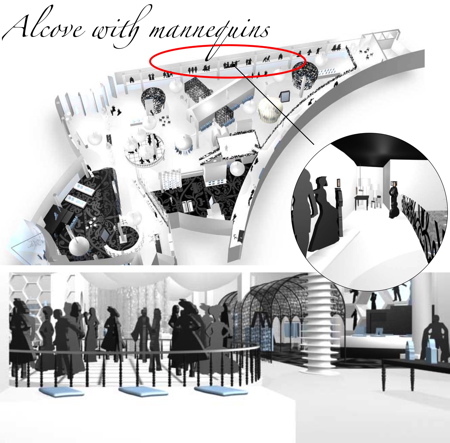 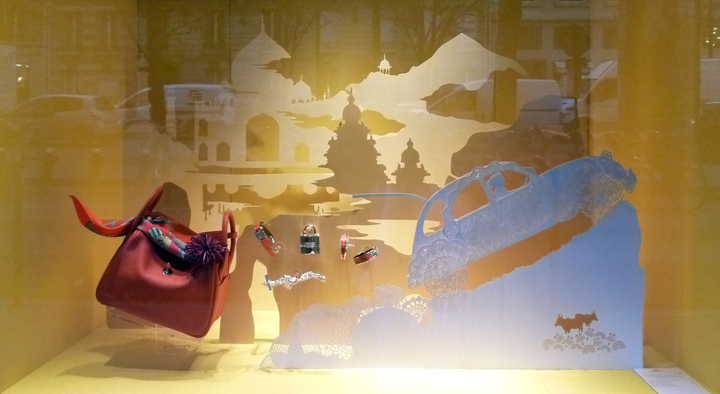 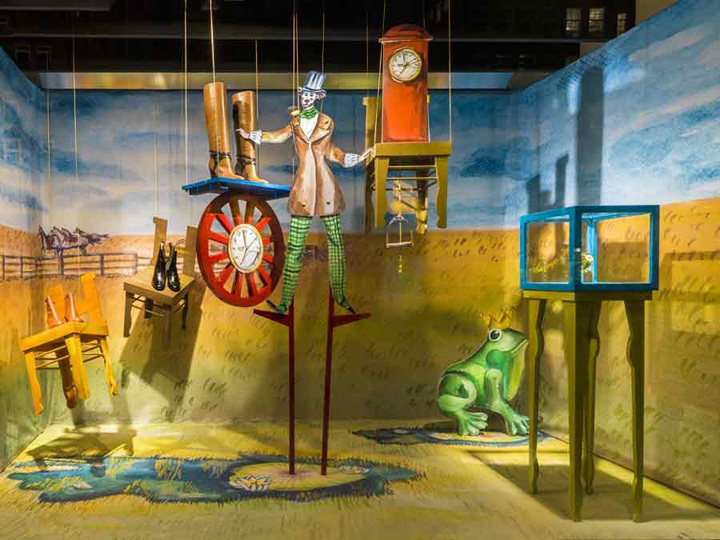 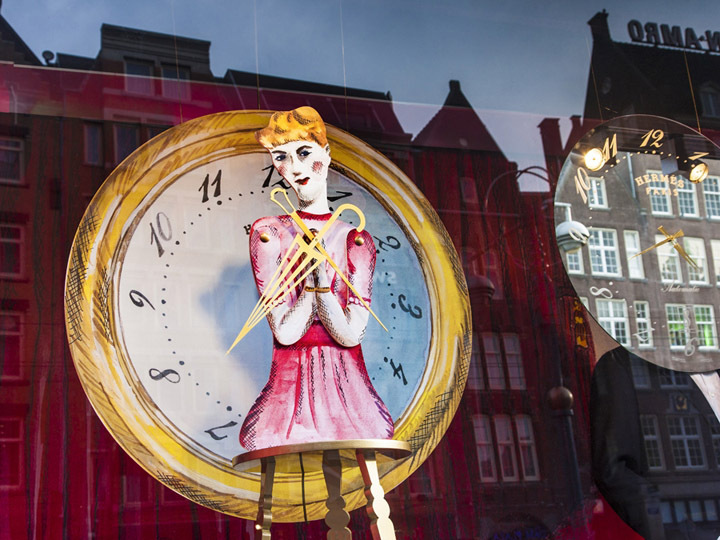 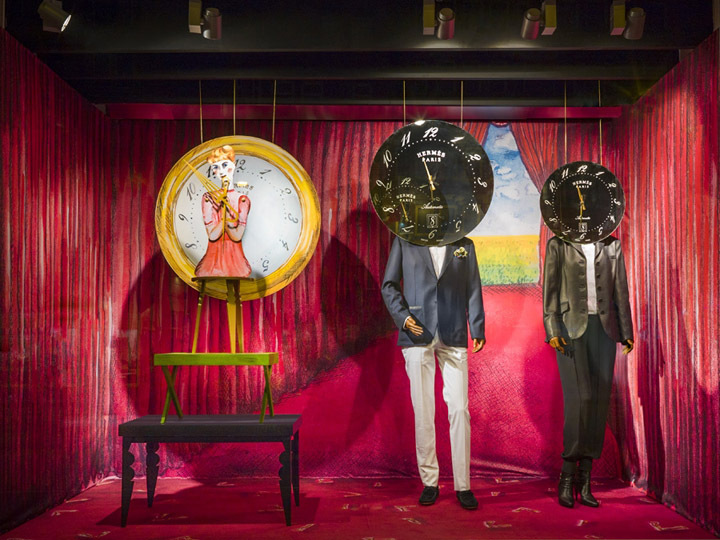 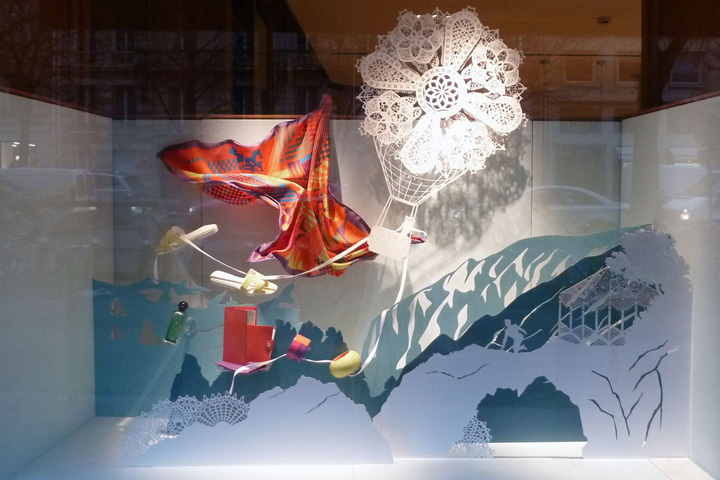 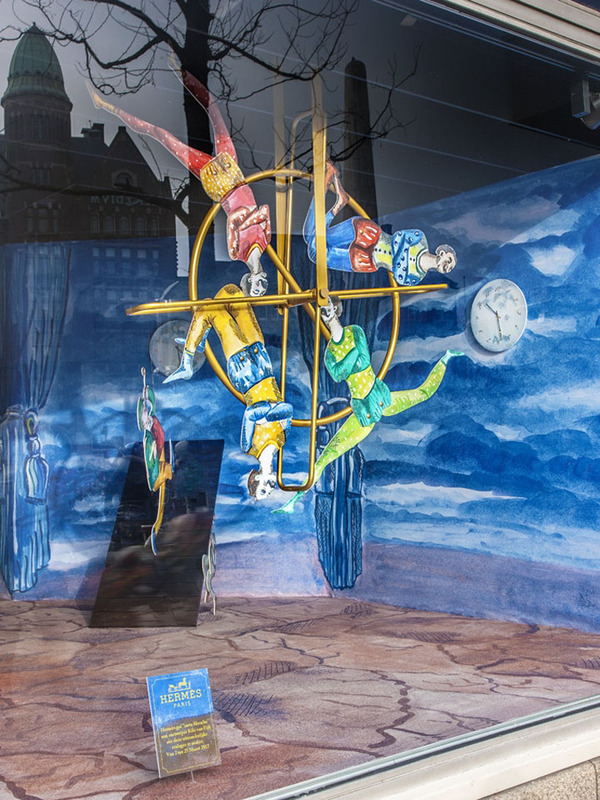 This playful concept represents the window displays at Amsterdam’s luxurious de Bijenkorf department store. 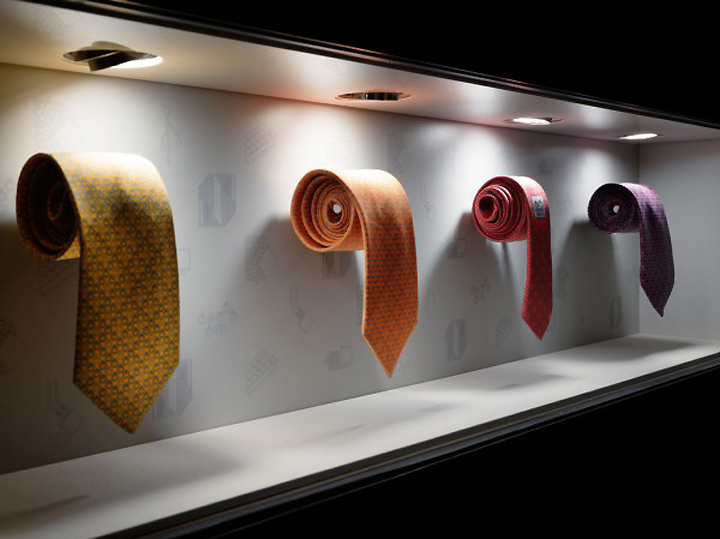 ~Gathering many individual thin ties together to create the shape of a large tie..
that show live virtual content . 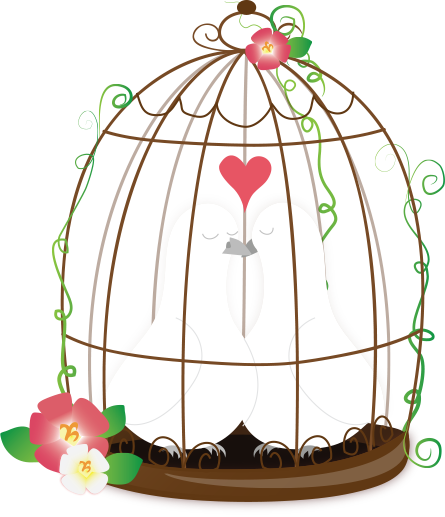 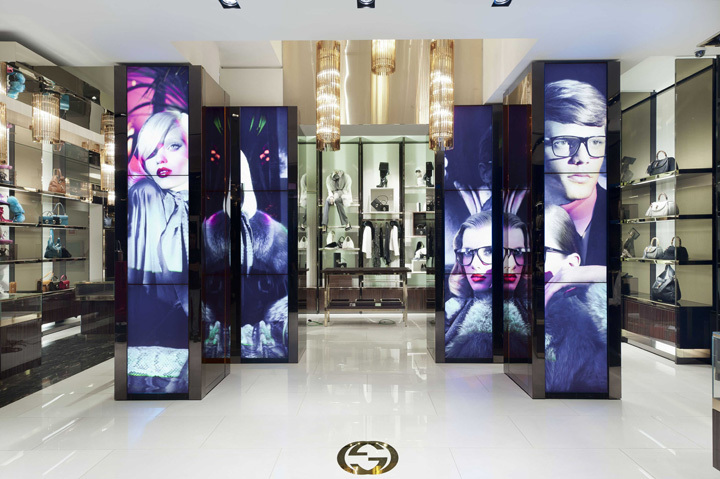 The customers are also capable to interact with these videos by searching for items, and send them to they mobile devices! 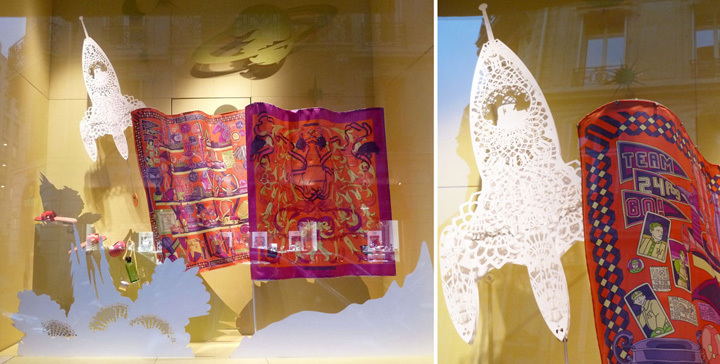 For a couple of minutes we’re going to let ourselves enjoy a middle-eastern dream.. 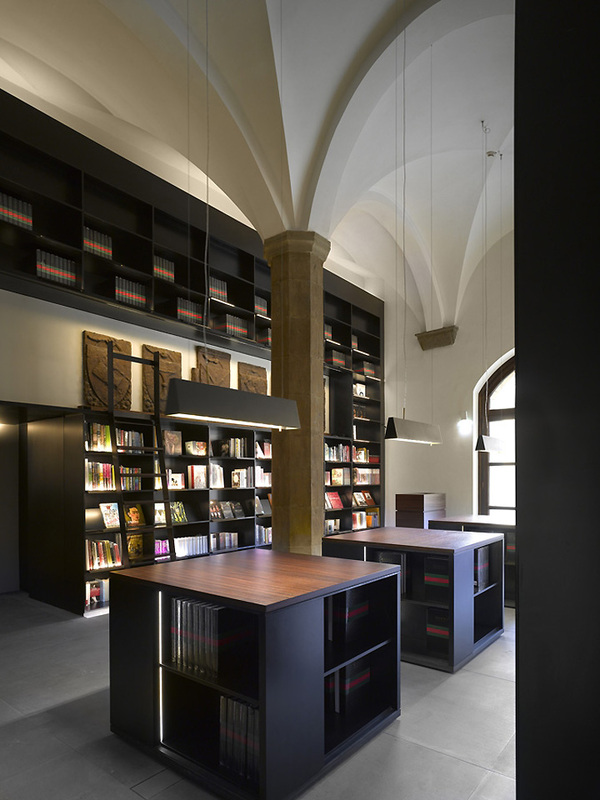 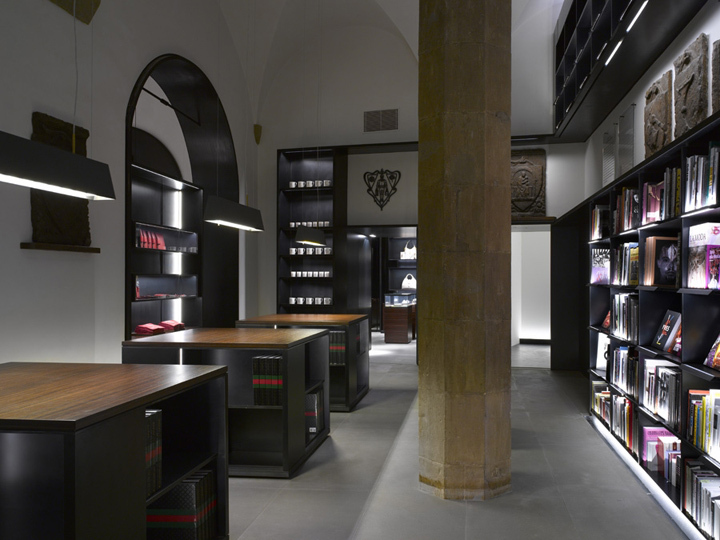 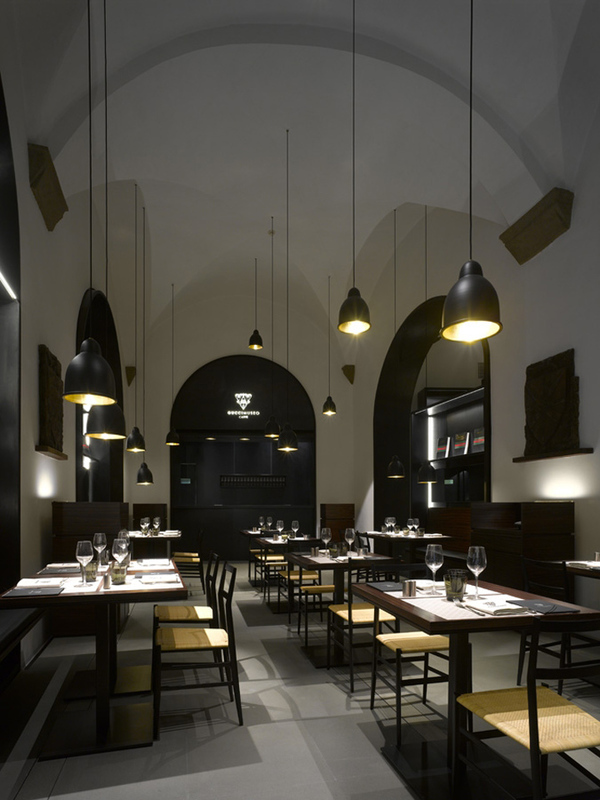 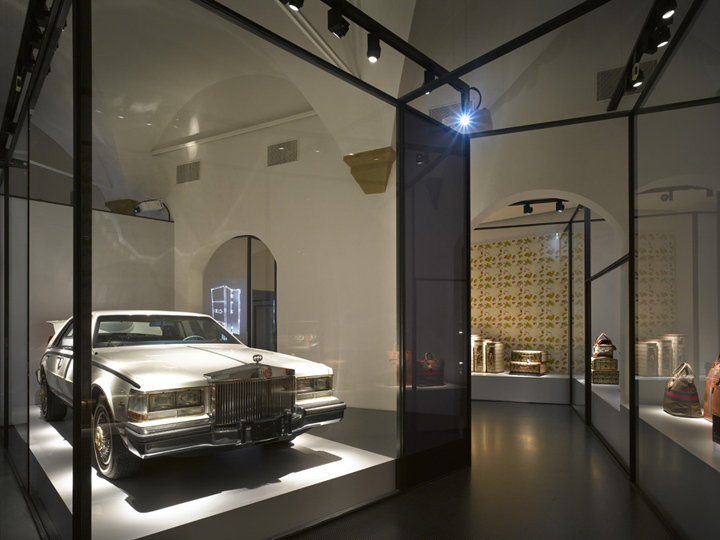 Completed in 2008, Villa Moda showcases the rich artisan ship of local craftsman, motifs and techniques, re-interpreted with Western eyes. 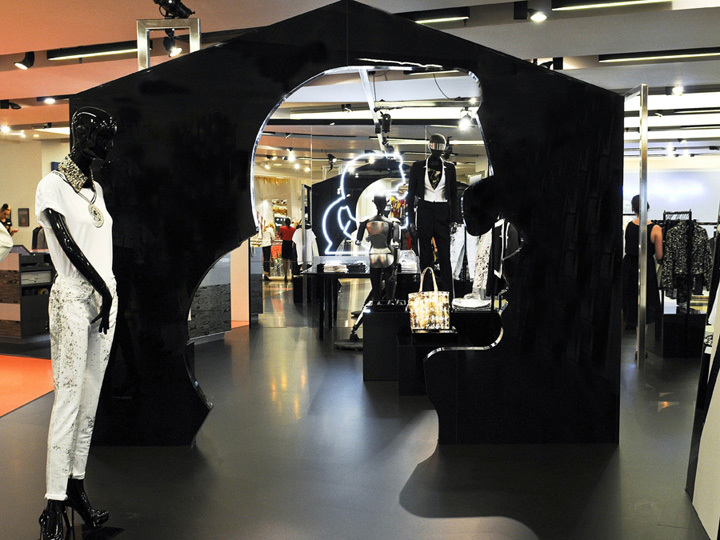 The souk includes heavily patterned walls..
… mannequins with mirrors in place of heads. 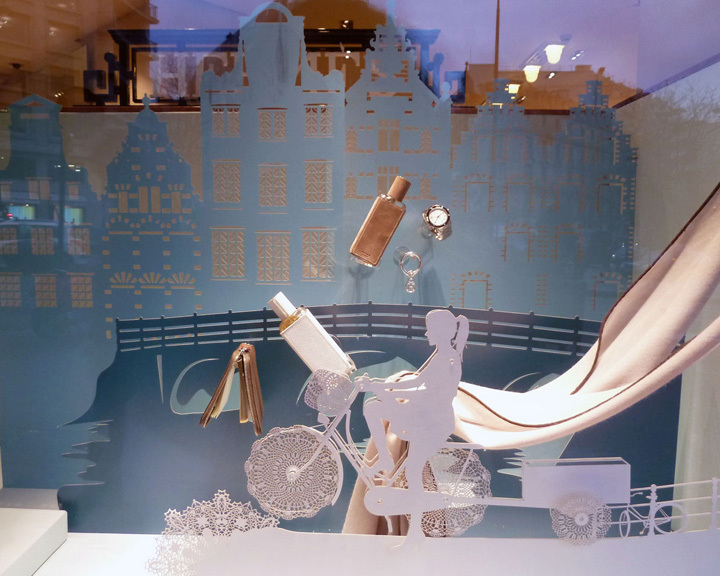 … and pearl decorated walls! 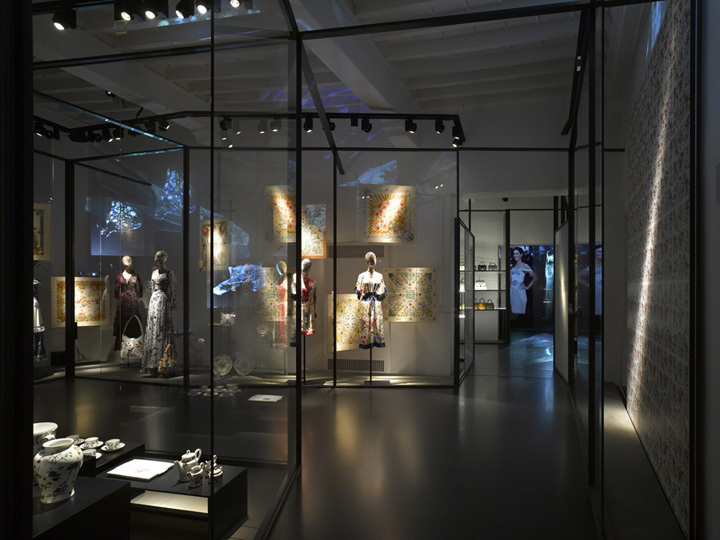 If you guys thought Chanel was bold for creating a couple of exhibitions, Gucci has actually built a museum in Florence, the center of Art and Beauty. 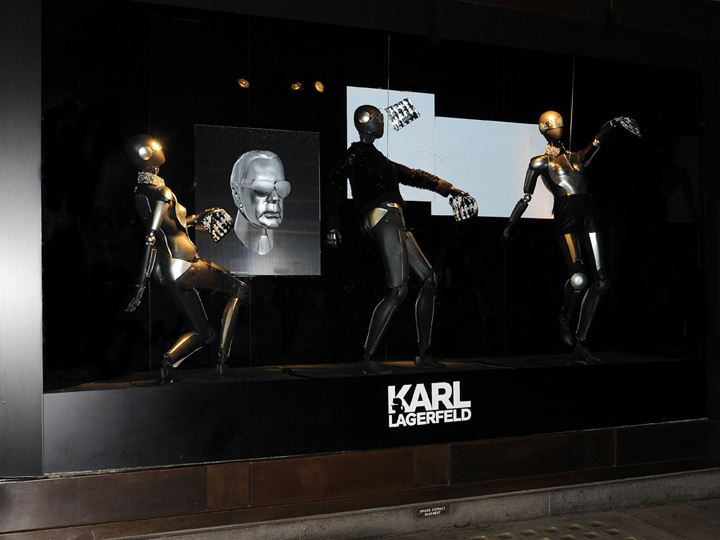 The designer Karl Lagerfeld and the famous silhouette of his sunglasses and ponytail served as inspiration for a new campaign at London’s Selfridges department store in the summer of 2012.